The stand-off between Apple and the Telecom Regulatory Authority of India (TRAI) may be ending, after Apple reportedly advised the regulator the company a method is on the way in iOS 12 to add a Do Not Disturb app on the country's iPhones, in order to avoid an iPhone ban on the country's mobile networks. Apple has informed the regulator there may be an alternative way to allow spam-reporting apps onto iOS that the government body may agree with, as a way to solve the current disagreement, a source advised to Business Standard. 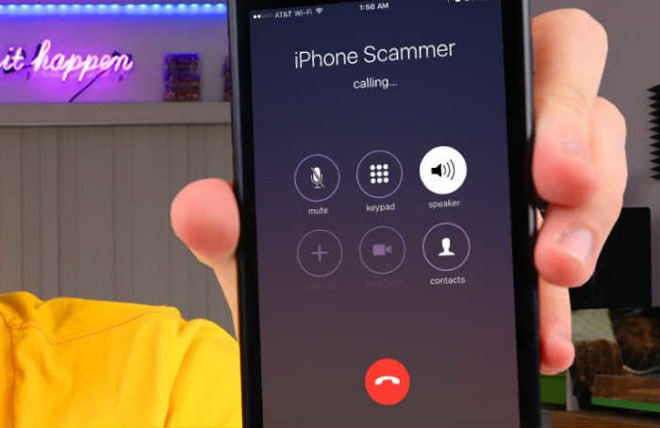 The note to TRAI advises of a function in iOS 12 that would allow developers to create spam and nuisance call-reporting tools, that would abide by Indian regulations. TRAI wants all smartphones in the country to include a Do Not Disturb app to their devices, that would allow smartphone users to report spam messages and calls, in an attempt to crack down on the problem. Apple had previously collaborated with the regulator on an app, but it has so far been reluctant to add the app to the App Store. The source added the app developed with Apple could be made available to users before Diwali, which takes place in early November. Last week, TRAI implemented new regulations that would force carriers to remove smartphones from its network if they could not support Do Not Disturb apps. While not having the power to directly order Apple to comply, the regulation effectively gave Apple 6 months or face seeing the iPhones of its customers kicked off the country's mobile networks. Arriving as part of iOS 12, Apple is enabling a way for developers to create such apps, with developer documentation advising how to take advantage of an "Unwanted Communication" extension in the Settings app. Under the function, users will be able to use a Report option in their recent calls and messages lists, which then hands off to the reporting app. Given that major iOS releases typically arrive along with new iPhones, during or shortly after September, it is probable the SMS and Call Spam Reporting function of iOS 12 will be available for use before the app from the TRAI collaboration. While Apple has seemingly dragged its feet in enabling the app, other smartphone producers haven't offered as much resistance. The Do Not Disturb app has been available to download to Android devices since 2016. India continues to be an important country for Apple's future growth. Apple currently produces the iPhone SE in the country for regional sale, and is reportedly entering production of a second iPhone model for local sale, thought to be the iPhone 6s.